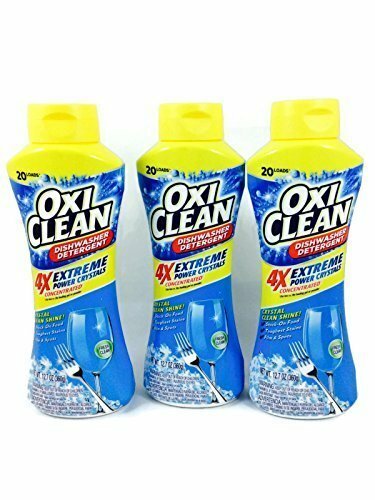 OxiClean Dishwashing Detergent. 4X Extreme Power Crystals Concentrated. Use Less Versus The Leading Gel Or Powder. Cleaning So Powerful You Just Fill The Cup Half Way! Cleaning So Powerful, Just Fill The Cup Half Way!